The spring term is always disaster-prone, but this one at Ledenham School surpasses itself. 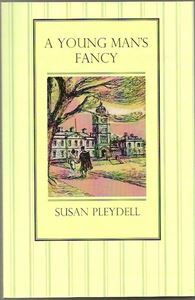 The Headmaster’s invaluable secretary collapses with appendicitis and has to be replaced by Oonagh – ‘Swooner’ to the boys; a young master’s fancy, lightly turning to thoughts of love, causes a major crisis at Governors’ level; the Headmaster’s daughter Alison’s romance is beset by unwelcome public scrutiny and comment. We meet several of the characters from Summer Term, decent chaps and the right sort of girls, plus a few outright cads to give added spice.